The Eastern Shore Land Co. said the Cape Charles Yacht Center officially opened for business Thursday. As the first superyacht center on Chesapeake Bay, the center is designed to accommodate yachts that measure more than 24 meters, or 79 feet. 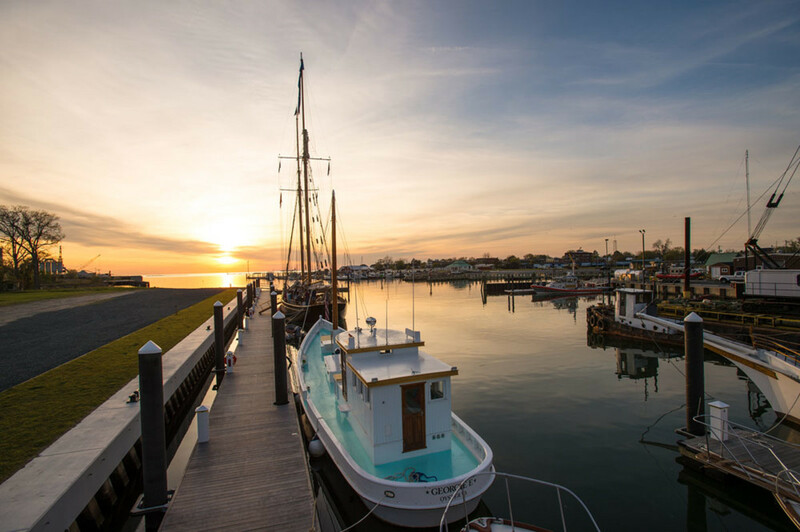 The yacht center includes a 40-acre harbor district and an 80-acre industrial park with access through a new road that connects the harbor to Route 13. This connection will restore access for trucks to the harbor granting East Coast shipping. The yacht center will immediately create 36 jobs with an estimated 80 to 100 new jobs over three years. The yacht center includes a marina, a 120-acre maintenance and storage area, a 75-ton boat lift, a 300-ton lift in process and a fuel station. Chesapeake Marine Systems is the designated operator for maintenance and boat supplies at the yacht center. The yacht center is a member of the U.S. Superyacht Association, and efforts are under way to ensure that yachts can clear customs when they arrive in Cape Charles. Additional development is being pursued in the harbor and the industrial park zones, with sites available for lease or sale. The location is suited for other marine-based businesses like yacht brokerages, boat manufacturers, repair and refit operations, retail and tourism-related businesses.